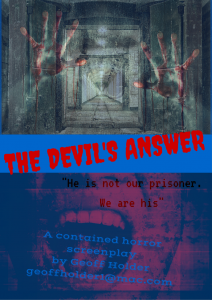 My contained low-budget horror script THE DEVIL’S ANSWER won the inaugural Genre Summit Screenplay Competition (there were 3 winners in total). Prizes include consultations with a manager and a multi-produced director. 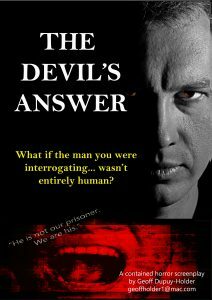 Logline: In a remote, cut-off prison, a dedicated torturer starts to believe that his mysterious single prisoner is the Devil himself. If you’re a film industry pro and would like to read this competition-winning screenplay, please get in touch via the contact page. 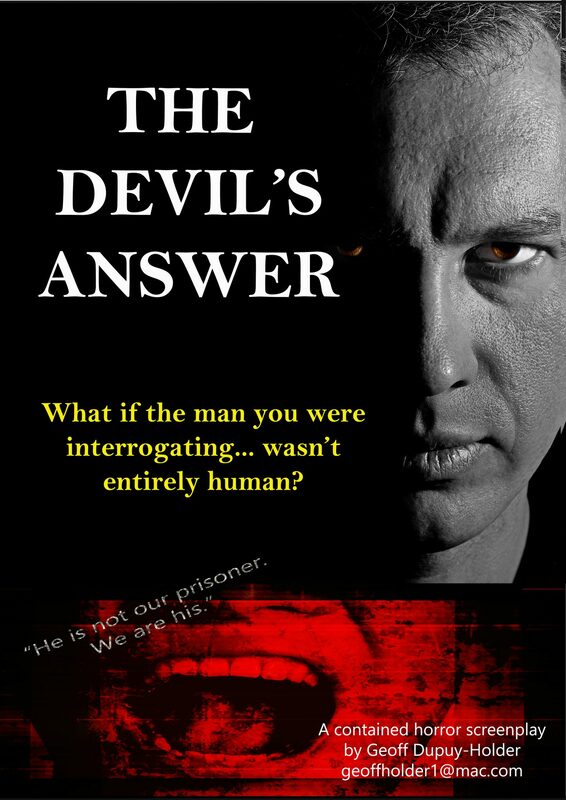 This entry was posted in Movies and scripts and tagged competition winning, contained horror, Genre Summit, Geoff Dupuy-Holder, horror movies, low-budget horror, Screenplay Competition Winner, screenwriting, scriptwriting, The Devil's Answer on 01/02/2018 by Geoff Holder.